Winter in the USA is a fun time for all. Christmas, Hannukah, Kwanzaa and other holidays are a big part of the winter season’s festivities but there are many other ways that this season can be enjoyed. Although the cold and snow may not be everybody’s idea of fun, there are those for who m winter and the snow and cold is the best time of the year. In the USA it means the start of the holiday season. For children and for adults, it’s a time when they can get outside and enjoy the activities that the snow has to offer. 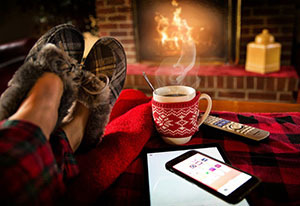 Here are some ways to look at the winter holiday season as a time to have fun, enjoy romance and take part in fantastic and inexpensive outdoor activities.